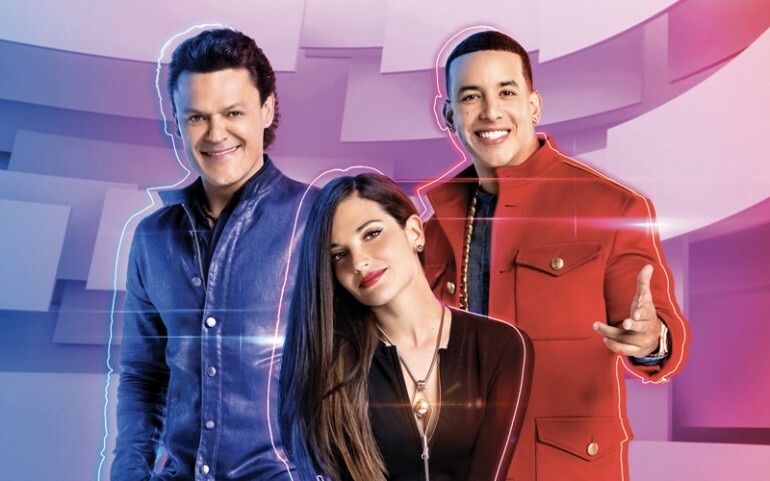 "La Voz Kids" is back with a new season on Telemundo, where Pedro Fernandez, Natalia Jimenez, and Daddy Yankee are all in search of the winning voice. The reality TV show, co-hosted by Jorge Bernal and newcomer Patricia Manterola, kicked off Sunday, April 17 with the blind auditions. With the premiere of the show's fourth season still fresh, we talked to Telemundo's TV personality Bernal, who spilled the beans on the dynamics of this year's show, working with a new co-host, what he misses about previous host Daysi Fuentes, and more. He even talked to us about his new Vlog making the rounds. Get the exclusive scoop via our Q&A below. Jorge Bernal: We're doing that this year. It's a chance for some of the kids who do not get chosen during battle rounds. The judges pick one out of the three kids, but now the other two kids will have the opportunity to continue in the competition with the help of the audience. The audience can use text messages and hashtags to chose one child per team to continue. LT: You've been hosting the show since it began, and it's the first time you have a new co-host, what are some of the things you miss about working with Daisy Fuentes? JB: I miss Daisy as a whole... in general. We got along great! She's amazing, she's fun, she's witty. We had as much fun off stage as we did on stage. I really miss her personality, she's very fun to be with, she's very relaxed, even in the most tense situation during the actual filming. LT: And what do you enjoy most about working with Patty Manterola? JB: We hit it off from the get-go. We met way before the show started, at a casting. We talked about our family, about our kids, we have that chemistry that is rarely seen on TV. That's something that I think the viewer will see as the show progresses. It benefits the kids as well, when they see two hosts that actually get along and have fun. LT: If your son Lucas ever wants to pursue a career in singing, would you encourage him to audition for reality show like "La Voz Kids"? JB: He loves music, but he doesn't sing. I don't think he'll ever join a competition like that, but if he did want to, I would totally let him because I know how it works behind the scenes. I know what producers do with the kids, how they get treated as a contestant, I know the care they go through into protecting them and their talent. It's a very controlled environment, there's psychologists on board, there's doctors on board, there's great producers. Everything revolves around the kids. 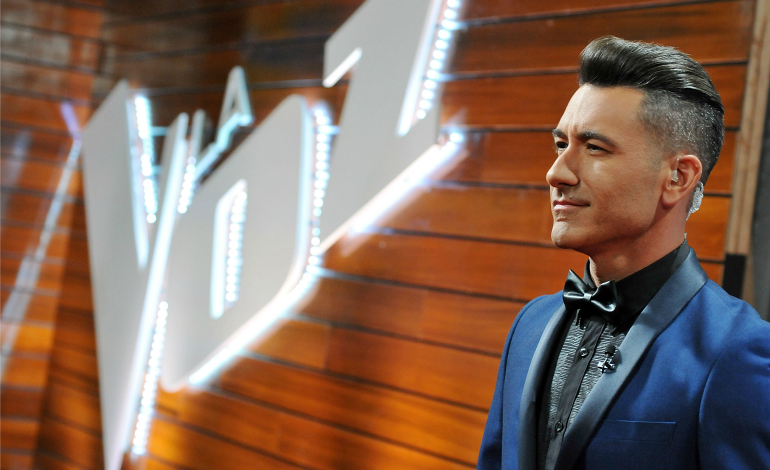 They're in very good hands and because I know this, I would definitely be OK with him participating in "La Voz Kids." LT: If the show could expand to two more judges, what other artists would you like to see on that red chair? JB: I would choose J Balvin, he's a great guy, I've known him for several years, so I would love to have him as a coach. I would also like Don Omar! Don Omar plays this tough guy on stage and in his music, but he's the sweetest, most down-to-earth father you could ever imagine. I love seeing shows like "La Voz Kids" exposing a more personal side of the artist. LT: You're also a co-host on "Suelta la Sopa," but what would you say is the best thing about working on a show with kids and teenagers? JB: "La Voz Kids" exposes talented kids and encourages them to follow their dreams. We're changing lives in "La Voz Kids." LT: And to finalize.... tell me all the scoop about your new Vlog (video blog) on YouTube: Mr. Check It Out ! JB: I bought myself a digital camera and decided to document my day-to-day life. A lot of people are constantly asking me about my life and I thought I should do a Vlog to set the record straight. This is going to be a legacy, YouTube is not going anywhere, the videos are all staying, and Lucas can see the videos when he's older. I love editing, I edit all the videos myself. 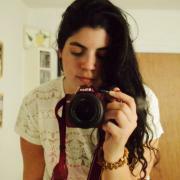 It became this thing that I extremely love because it makes me feel valuable, like I'm using my time. At the end of the day it's benefiting me more that what I thought it could be.